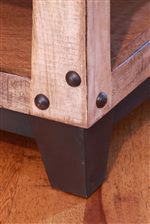 The Maya 2 Drawer Nightstand with Iron Trim and Nail Head Details by International Furniture Direct at Furniture Superstore - Rochester, MN in the Rochester, Southern Minnesota area. Product availability may vary. Contact us for the most current availability on this product. 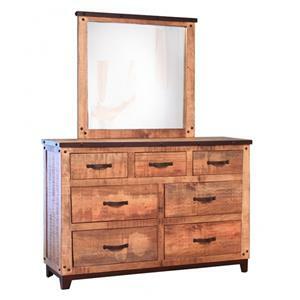 Finish Multi-step lacquer finish that enhances the natural color of the wood. Case Detail Metal trim, iron bases and nail-head details. 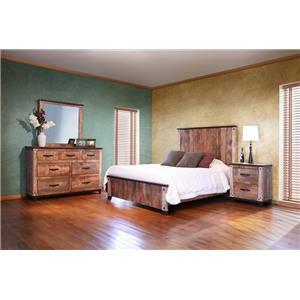 Rustic in style with a combination of wood and metal elements, this collection can update your home. Create a master bedroom where you can be comfortable after a long day as well as store all of your belongings in an easy way. Add a cocktail table to the center of your living room, a sofa table to your hallway or place and table next to your sofa for a space to organize small items or show off decor. 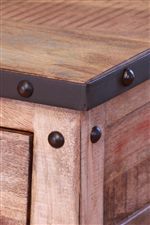 Pieces from this collection feature a multi-colored wood finish, metal trim and nailhead details. 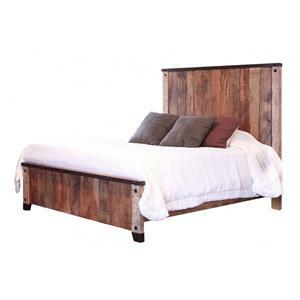 The Maya collection is a great option if you are looking for Relaxed Vintage Contemporary furniture in the Rochester, Southern Minnesota area. 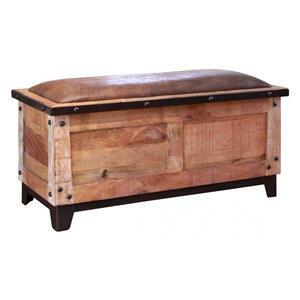 Browse other items in the Maya collection from Furniture Superstore - Rochester, MN in the Rochester, Southern Minnesota area.